Here are some notes on our new dragon movie. Remember how this blog is my Internet notebook? Yeah well, here are notes which you will neither understand nor care about. I'm not even going to tell you who wrote what. 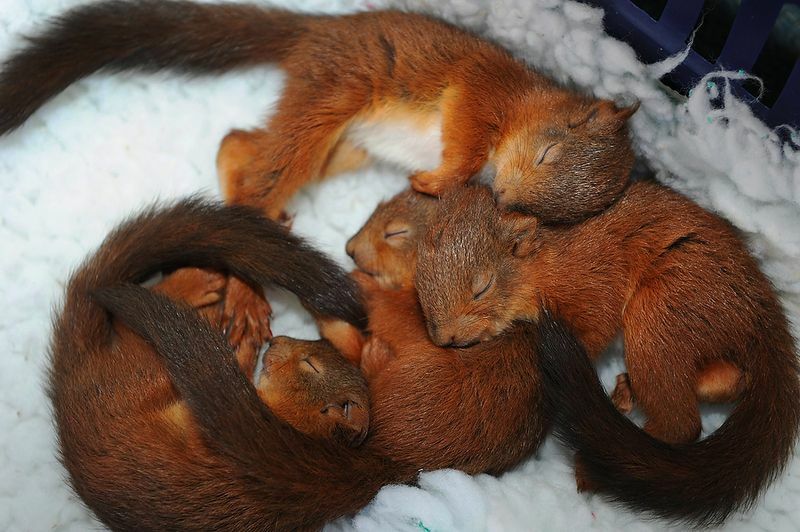 Here are some baby squirrels instead. Biggest thing: Once Miranda is dead and Amelia has found her brother, there are no stakes left for Amelia. What does she want then? The end is kind of a mess. Too much action without enough motivation. I think there are tasers at one point in the tunnel. Really? Those will work in this world? Quit being snarky about Tom's spelling. Miranda:What are you going to do with this power? Amelia:What?What are you talking about? Miranda: If you kill lord Sebastian than the jails will be free and I bet you will find your brother. Amelia: I came to find you,but I realized I am here for a bigger reason.We have to kill Sebastian. If we dont know we are going to have to someday soon.